Maybe your mouse or touch pad at your laptop is inoperable, or maybe you forget to bring it with you. Perhaps you are having USB driver problems, and your mouse isn’t working properly or at all. A computer can still work without a mouse but it is very tough to navigate around Windows. You have to know the correct shortcut keys to be able to open programs, get around the desktop and work inside programs. Windows has hundreds of shortcuts, at least some of which will need to be learned. Browsing a webpage in your web browser without a mouse can potentially be an even more painful experience because you’ll end up having to hit the Tab key loads of times to cycle through all the links on the page to get to the one you want to access. What will make things easier if you have to use the keyboard instead of a mouse or touch pad, is having it behave like a mouse so you don’t have to learn tons of shortcuts. Or at least make it easier and more efficient to navigate your way around a webpage. Here’s a selection of 10 tools and web browser extensions to make using your keyboard in place of the mouse or touch pad more tolerable. 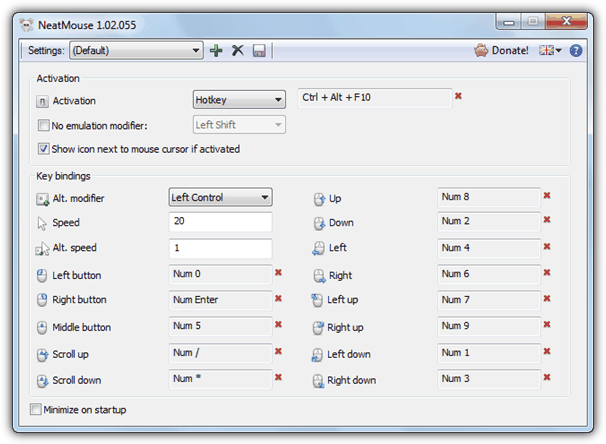 Mouse Emulator is free and very small program (36KB) to control the cursor using the keyboard. Just download, extract and run mousemu.exe. There is no setting window for you to configure anything, and when enabled, you’ll simply see a Mouse Emulator icon in the system tray which can be used to exit the program. To adjust the mouse speed, double click on one of the .reg files in the folder and restart the program to change the mouse speed. For instance double-click on SlowMouseSpeed.reg and restart the program if you think the mouse speed of mouse emulator is too high and needs to be slowed down. 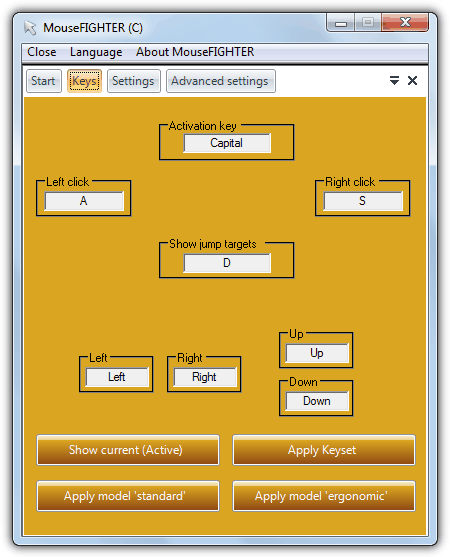 MouseFIGHTER has both a standard and ergonomic configuration where the standard setting uses the normal arrow keys for the mouse directions and ergonomic uses keys such as D, F, I and J for cursor movements so that your hands will stay at the correct position on your keyboard when you switch to typing. If you are not comfortable with either of the pre-set configurations, the good thing is you can define the keys yourself. A few options are there to make the movement a little bit smoother such as the start and stop acceleration speeds, and the screen percentage jump size. In the advanced settings you can turn off the on screen display and enable automatic switching which will turn off the MouseFIGHTER mouse keys when a key is pressed that isn’t a configured mouse key. Although MouseFIGHTER requires installation, it can be made portable by copying the whole MouseFIGHTER folder from Program Files. The most recent release also supports multiple monitors. It’s works on Windows 98 or above and requires the Microsoft .NET v2 Framework. NeatMouse is a highly configurable tool while still being easy to use and setup. You can also create different profiles to better suit the type of task you are doing at the time. To activate the keys you can choose either one of the standard keyboard Lock keys (Num, Scroll, Caps) or even choose your own hotkey combination. Left or right Shift, Alt and Ctrl keys can be used to accelerate the key-press or temporarily bypass NeatMouse and use the pressed key for the default function. All 8 directions, left, right and middle mouse click and the scroll buttons can all be configured to just about any key you like. To setup a new profile just click the plus icon, give it a name, and when you make any changes to the default layout, press the save to disk button. NeatMouse is also available in 7 languages and when you run the installer there will be the chance to either install the program or create a portable version in the chosen folder. An advantage NeatMouse has over some other tools is it’s still actively updated meaning bug fixes and new features are possible. Works on Windows XP and above. Windows has a built in tool called Mouse Keys that allows you to control the pointer with the numeric keypad on your keyboard. 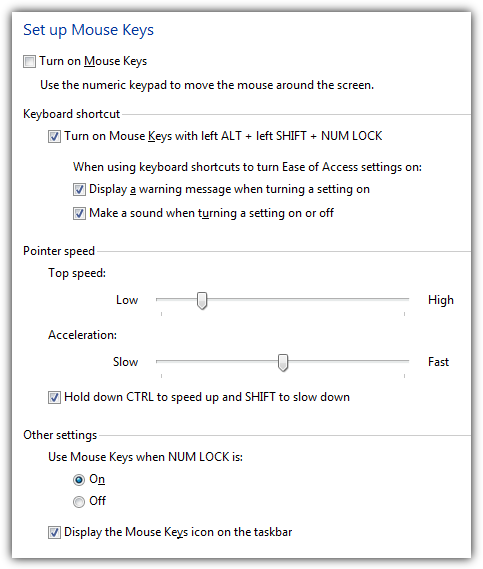 To enable Mouse Keys, the simplest way which works on all supported Windows versions is by simultaneously pressing the “left Alt + left Shift + Num Lock” keys, right Alt or Shift won’t work. When Mouse Keys is enabled, you can temporarily disable it by pressing the Num Lock key. Mouse Keys uses a traditional combination of 8 direction keys on the keypad with “/”, “+” and “-” as the left, middle and right mouse buttons respectively. To perform a click you have to select the button and click it by pressing 5 on the numpad. By default, the cursor moves quite slowly and you’ll have to go to Settings by clicking on the tray icon and adjust both the top speed and acceleration to the highest settings. There is also the option to speed up the movement even more by holding down the Ctrl key while moving. 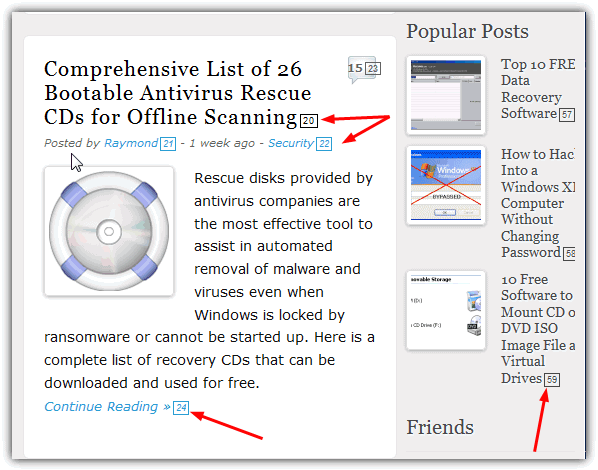 Mouseless Browsing enables you to browse the internet using the keyboard with the basic principle of assigning small numbered id boxes to links and form elements. You just have to type in the number to follow the link, press a button or select a text field. The extension is highly configurable and nearly everything about it can be customized including using numbers or letters, hotkey modifiers, the id layout and visual look and URL rules to disable/enable it for certain webpages. By default the id numbers will automatically show on the page for each link and pressing Decimal (numpad Del) will turn them off, this can be reversed in options. To open the link on a new tab, hold down the Alt key while pressing the number. If the keys don’t suit you, just about all of them can be changed in Options which also has its own shortcut of Ctrl+Alt+Shift+M. The maths keys on the numpad can be used for back, forward, scroll up and down. I appreciate you posting this. It’s extremely helpful information. your ideas and tips have just revolutionized my browsing.i realy owe you one. it’s really helpful………….this is a very good idea ! now i have not to buy a new mouse. Thanks for that helpful info… I guess I now know how my blind course mate work with his laptop! THANK YOU, THANK YOU THANK YOU. You Just made my day. First of all thank you, you tell me a lot of tricks. Thanks mate you are great. you know what…. it is very interesting….. Thanks! I’ve been wondering how to do this for a while to give relief to arthritic hands. Good information. Hey thanks for Mouse Emulator! Really great tip raymond, keep up the good work…. That’s really useful! Thanks! It is especially handy while after installed a new system. WOW! Nice help Raymond! Thanks for the wonderful tip!